Last week, the Supreme Court struck down an amendment to the draft law that would have extended deferments from army service for full-time yeshiva students through 2023. While haredi MKs lambasted the ruling, Netanyahu's governing coalition has remained largely silent on the issue. 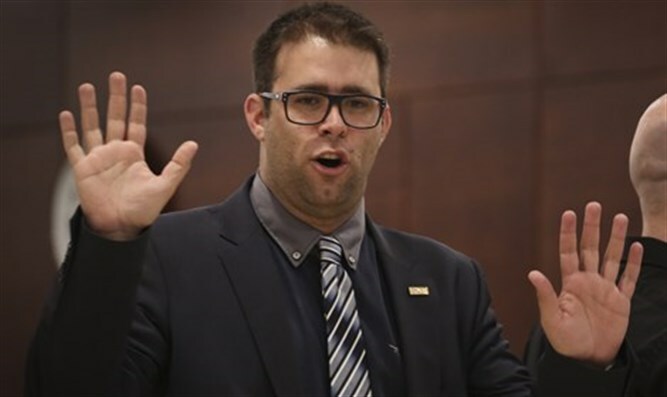 On Sunday, MK Oren Hazan (Likud) offered a rousing defense of the haredi position, telling a mostly secular audience in Or Yehuda that Torah study has historically been one of the most important values for the Jewish people. "During the two thousand years of exile, when the Jews prayed in private, quietly, and secretly, sanctifying the name of God, [Torah study] suited us. Today, when we have a state, we won't let them learn Torah? Are we crazy?" Hazan asked. Hazan, impassioned, asked why the focus in on haredi Jews, when other sects of the population don't enlist either. "Where are all the people of Tel Aviv that shout at the haredi Jews when the [Israeli citizen] Muslims do not enlist? Why are they all right? They do not even study Torah, they don't even serve the country," Hazan charged. "They simply do not enlist. Why? Because it's not comfortable, but no one talks about that." Hazan blamed the Knesset for the current strife between the sectors of Israeli society. "The Supreme Court is not guilty," said Hazan. We are guilty, the legislators are guilty, the Knesset is guilty, the government is guilty, and don't let anyone fool you. " He concluded that "If we had legislated the [Draft Law] properly, the High Court of Justice would not have abolished it and there would not have been a rift within the people. Instead of quarreling with one another, haredi Jews versus secular, we would deal with our enemies. Because we have many of those."